Monitoring software has many benefits especially for parents. There are many ways that the cyber world can cause harm to our kids and we can’t always watch over them 24/7. For this reason, monitoring software starts sprouting out with the different brands and offerings you can find. A monitoring software must be 100% reliable or else it’s really not worth having especially with older kids who can be clever enough to find a way to bypass the software if they can. If that’s the case then you will be deceived to think your kids are actually using the internet in the safe zone that you set but they are actually just bypassing your security software and they freely scan through malicious websites and chatting with online predators. The problem with the internet is that there’s no regulatory board that really keeps track of what’s posted online especially in the social networking media. People can just post whatever they like and the site can only put it down after abuse reports but that will take some time and thousands of exposures already. If your child taps into these websites they may expose themselves to vulgarity and violence which is unhealthy especially for their young and curious minds. Having a monitoring software installed will greatly help parents in making sure their child uses the computer in a very safe environment only. Otherwise, they would get the log data that will tell them what and where their child is going online and they can inform their children about the dangers going into these types of websites. Also, children will also avoid talking to strangers online such as in chat rooms as there are many online predators and you won’t want your child to be one of the victims. There had been much news on TV about these child predators and how dangerous it can be when your child connects to one. With monitoring software that is excellent in providing all the great features you need such as logging keystrokes, saving all chat messages and passwords, screenshots and others, you can find out if your child is in danger of such online predators and you will have all the necessary tools as proof that this man or woman is an online predator. You can send the information to the police and try to catch the predator so no other child will fall victim to him/her. You surely wouldn’t want to let that predator go freely knowing that they can attack somebody else’s child too. You can install and run a monitoring software in complete stealth. This way your child won’t have a clue that whatever they are doing online is completely monitored. Depending on what software you buy, you also have the option to monitor when certain words are used or when such words are detected from the received chat messages or sites they visit. When these words are used, you will be alerted and a screenshot can also be taken to give you a clearer picture of what the message is used for. This is a great tool and you can choose to automatically block such sites or to stop the chat messages to avoid further exposure especially when signs of danger appear. Parents can never protect their children well enough to make sure they will not be in harm’s way. We must admit, we are also limited, but this doesn’t mean we can’t try to find high-tech ways to find a solution. With monitoring software, you are one step ahead in making sure your children are safe from the time they sit and start using the computer up to the very end. Children are clever little ones. When parents are around they will not break any rules because they know they’ll be punished or reprimanded for it. What’s really important is not what you see when you are right beside them as they browse but what they actually do when you’re not around. This is the time you’ll know what your children are actually thinking of, what they become interested in and what they like to do online. On a better note, monitoring software can also be great for parents who want to know the interests of their children. Some kids refuse to talk about what they think their parents wouldn’t understand because of their age differences. With this type of software you will find out exactly what interests them. If there are certain games they play online or pop groups they are fond of. This will make you feel closer to your child and he or she will find it cool that you know these things as well. A monitoring software won’t just make you feel secure for your child’s sake but it can also bridge the gap as it lets you have time to do a bit of research on what fascinates your child and maybe you can start a conversation about his/her interests. 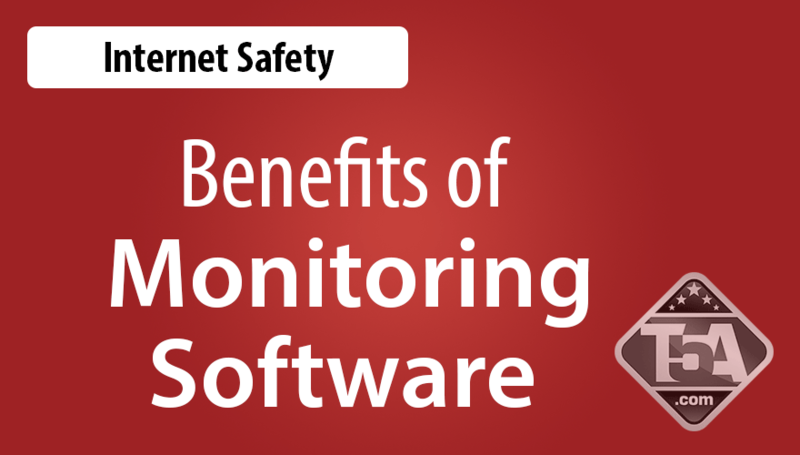 All in all, there are many benefits of monitoring software especially for parents. It’s a complete solution that parents used to only dream of. The internet is really not a safe place to frolic but we can’t avoid it, kids will also want to stay online. If used properly, the internet is a wonderful tool to help kids learn more as they can do their research faster over the internet than by browsing some textbooks. If used in the wrong way, the Internet can do more harm than good to very innocent little souls. Avoid this and any future tragedies associated with social networking and chat rooms. Also, make sure you teach your children about the dangers of the internet and how they should avoid putting themselves in a dangerous situation. If your child really listens to you, you can be proud to see the results of having this type of software installed as you’ll know if they actually follow your words or not when their mom and dad are away and can’t watch what they are doing online.